Join us for our Ultimate Singles Summer Sports vacation, put together a mix of sports, cultural activities and food choices to give you a real western style vacation experience. Plus a big group of singles to enjoy it all with. No worries, we break into small groups of various ability levels, allowing everyone to enjoy their favorite sports at their own pace. 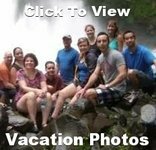 Our Aspen trip is an ideal vacation for the active single looking for a great experience. 7:00 PM Meet & Greet Welcome Reception. Arrive in Aspen early afternoon allowing for enough time to check in and join us for our 7pm welcome reception & orientation meeting. This is a first opportunity to meet our other singles and learn the specifics about our weeks activities. Depart 9:00 AM for the Lazy T Ranch located just above Aspen Highlands. Enjoy a most interesting ride in the mountains overlooking the most magnificent Aspen/Snowmass valley. After lunch join us at the hotel gym/spa pools and hot tubs. 7:00 PM INCLUDED Meet at Columbine Room for a Full Italian Buffet Dinner. Coach Ride to Maroon Bells for a Gentle 2 Hour Downhill Bike Ride into Aspen. Enjoy a leisure lunch at the local brew pub and an afternoon of shopping and sightseeing in Aspen.There is a bus every 15 minutes to Snowmass and our hotel. Enjoy an afternoon at the pool or hot tub or work out in the hotel gym. 8:00 Depart for an day of Rafting on the Colorado River with BBQ Lunch Included. Depart 9:00 AM for an incredible Lenado back country jeep tour return to Snowmass Mall for lunch and shopping. Enjoy afternoon at hotel pool & hot tubs. 9:00 AM Meet in Lobby for a guided mountain hike … route to be determined by group. 7:00 PM INCLUDED Farewell Dinner. Best to fly home after 10 or 11 am enjoy a final Farewell.